We will earn customer loyalty by meeting and exceeding customer expectations. We will advocate for a fair and competitive wireless market, encouraging competition and innovation within the mobile ecosystem. We will foster an inclusive workplace that welcomes contributions from our diverse employee base. We will strive to improve the diversity of our supplier base. We will promote a safe and healthy workplace. 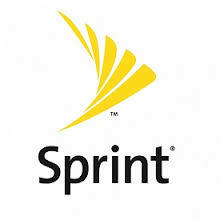 We will promote employee commitment to and participation in Sprint Good WorksSM efforts. We will support our communities through contributions and employee volunteer efforts that support K-12 education, positive youth development and the environment. We will be transparent about our collection and use of personal information, strive to be clear in our privacy communications with consumers about their privacy choices, andraise awareness of mobile privacy practices. We will promote ethical conduct. We will comply with all applicable laws and regulations. We will stay abreast of best practices in corporate responsibility management, including governance, reporting, and stakeholder engagement, and adopt those practices that areviable and advance our corporate responsibility performance. We will effectively manage the end-of-life phase of devices we sell or collect for recycling. We will incorporate “design for the environment” principles into our device development process, and we will work to improve the sustainability of our device manufacturers’operations and the devices they produce for us. We will provide or enable mobile solutions that help our customers reduce their environmental impact. We will strive to identify and manage unintended safety impacts of our products and services. We will promote an open business model (incorporating networks, applications and M2M solutions), putting choice in the hands of our customers and using our assetsstrategically to drive innovation in the mobile ecosystem. We will reduce our carbon footprint. We will effectively manage our use of natural resources by reducing consumption, facilitating reuse and maximizing recycling. We will establish processes that enable a more socially and environmentally sound supply chain.